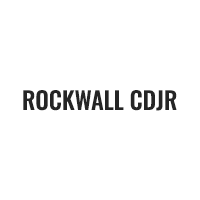 Rockwall Chrysler Jeep Dodge Ram invites you to search our used inventory of cars, trucks, vans, and SUVs for sale near Dallas in Rockwall, TX. Our customer service specialists are standing by to help you find the next car of your dreams. Plus, don’t forget to ask about our used car financing program. From perfect credit to low credit, Rockwall Chrysler Jeep Dodge Ram will work hard to get you the used car financing you need. View our inventory online, stop by for a test drive, or call (469) 698-2100 today. We are excited to offer this 2008 Dodge Charger. Drive home in your new pre-owned vehicle with the knowledge you're fully backed by the CARFAX Buyback Guarantee. One of the best things about this Dodge Charger is that it has low, low mileage. It's ready for you to truly break it in. The 2008 Dodge exterior is finished in a breathtaking Surf Blue Pearl, while being complemented by such a gorgeous Dark Slate Gray interior. This color combination is stunning and absolutely beautiful! The look is unmistakably Dodge, the smooth contours and cutting-edge technology of this Dodge Charger R/T will definitely turn heads. We look forward to seeing you soon! Please call us for more information. We are excited to offer this 2014 Ram 1500. When you purchase a vehicle with the CARFAX Buyback Guarantee, you're getting what you paid for. This is the one. Just what you've been looking for. This is about the time when you're saying it is too good to be true, and let us be the one's to tell you, it is absolutely true. Look no further, you have found exactly what you've been looking for. We look forward to seeing you soon! Please call us for more information. We are excited to offer this 2017 Ram ProMaster City Cargo Van. Drive home in your new pre-owned vehicle with the knowledge you're fully backed by the CARFAX Buyback Guarantee. The ProMaster City Cargo Van Tradesman is well maintained and has just 30,185mi. This low amount of miles makes this vehicle incomparable to the competition. You've found the one you've been looking for. Your dream car. You can finally stop searching... You've found the one you've been looking for. We look forward to seeing you soon! Please call us for more information. We are excited to offer this 2016 Dodge Charger. This vehicle is loaded with great features, plus it comes with the CARFAX BuyBack Guarantee. Why spend more money than you have to? This Dodge Charger will help you keep the extra money you'd normally spend on gas. There are many vehicles on the market but if you are looking for a vehicle that will perform as good as it looks then this Dodge Charger SXT is the one! Beautiful color combination with Silver exterior over Black interior making this the one to own! We look forward to seeing you soon! Please call us for more information. We are excited to offer this 2017 Chrysler 300. This vehicle is loaded with great features, plus it comes with the CARFAX BuyBack Guarantee. The 300 Limited has been lightly driven and there is little to no wear and tear on this vehicle. The care taken on this gently used vehicle is reflective of the 33,803mi put on this Chrysler. The look is unmistakably Chrysler, the smooth contours and cutting-edge technology of this Chrysler 300 Limited will definitely turn heads. A truly breathtaking example of pure vehicle design achievement...this is the vehicle of your dreams! We look forward to seeing you soon! Please call us for more information. We are excited to offer this 2016 Dodge Challenger. How to protect your purchase? CARFAX BuyBack Guarantee got you covered. In addition to being well-cared for, this Dodge Challenger has very low mileage making it a rare find. Based on the superb condition of this vehicle, along with the options and color, this Dodge Challenger SXT is sure to sell fast. You've found the one you've been looking for. Your dream car. We look forward to seeing you soon! Please call us for more information. We are excited to offer this 2016 Dodge Challenger. Drive home in your new pre-owned vehicle with the knowledge you're fully backed by the CARFAX Buyback Guarantee. One of the best things about this Dodge Challenger is that it has low, low mileage. It's ready for you to truly break it in. This is about the time when you're saying it is too good to be true, and let us be the one's to tell you, it is absolutely true. There are many vehicles on the market but if you are looking for a vehicle that will perform as good as it looks then this Dodge Challenger SXT Plus is the one! We look forward to seeing you soon! Please call us for more information. We are excited to offer this 2016 Ram 1500. This Ram includes: QUICK ORDER PACKAGE 26R LONE STAR Wheel Locks WiFi Hotspot Keyless Start Driver Vanity Mirror Steering Wheel Audio Controls Remote Engine Start Integrated Turn Signal Mirrors Passenger Vanity Mirror Power Mirror(s) Auto-Dimming Rearview Mirror Universal Garage Door Opener Heated Mirrors Security System Leather Steering Wheel Conventional Spare Tire Satellite Radio Passenger Illuminated Visor Mirror Driver Illuminated Vanity Mirror Telematics Auxiliary Audio Input Power Folding Mirrors MP3 Player ENGINE: 5.7L V8 HEMI MDS VVT 8 Cylinder Engine Gasoline Fuel MANUFACTURER'S STATEMENT OF ORIGIN SPRAY IN BEDLINER Bed Liner 32 GALLON FUEL TANK TRANSMISSION: 8-SPEED AUTOMATIC (8HP70) 8-Speed A/T Transmission w/Dual Shift Mode A/T RADIO: UCONNECT 8.4 NAV WiFi Hotspot HD Radio Navigation System AM/FM Stereo Satellite Radio Bluetooth Connection Telematics Auxiliary Audio Input MP3 Player GRANITE CRYSTAL METALLIC CLEARCOAT *Note - For third party subscriptions or services, please contact the dealer for more information. * Your buying risks are reduced thanks to a CARFAX BuyBack Guarantee. The Ram 1500 Lone Star has a navigation system installed, so you'll always know where you're going. This top-tier navigation system is reliable and will get you to your destination quickly and by the most efficient route available. We look forward to seeing you soon! Please call us for more information. We are excited to offer this 2016 Dodge Durango. Only the CARFAX Buyback Guarantee can offer you the comfort of knowing you made the right purchase. Gone are the days of SUVs being the size of a tank and handling like one. This Dodge Durango is a perfect example of how SUVs have evolved into vehicles that are as refined as they are rugged. Enjoy driving? Well now you will get more thrills behind the wheel thanks to the heightened performance of AWD. Better handling. Better traction. Better driving experience. We look forward to seeing you soon! Please call us for more information. We are excited to offer this 2018 Dodge Charger. This Dodge includes: TRANSMISSION: 8-SPEED AUTOMATIC (845RE) (STD) 8-Speed A/T Transmission w/Dual Shift Mode A/T BLACKTOP PACKAGE Temporary Spare Tire Tires - Front Performance Aluminum Wheels Rear Spoiler Tires - Rear Performance QUICK ORDER PACKAGE 29G MANUFACTURER'S STATEMENT OF ORIGIN ENGINE: 3.6L V6 24V VVT (STD) V6 Cylinder Engine Gasoline Fuel *Note - For third party subscriptions or services, please contact the dealer for more information. * Your buying risks are reduced thanks to a CARFAX BuyBack Guarantee. Driven by many, but adored by more, the Dodge Charger SXT is a perfect addition to any home. You can finally stop searching... You've found the one you've been looking for. We look forward to seeing you soon! Please call us for more information. We are excited to offer this 2018 Chrysler Pacifica. This Chrysler includes: SECURITY GROUP Remote Engine Start Security System TIRE & WHEEL GROUP Tires - Front All-Season Aluminum Wheels Tires - Rear All-Season SINGLE REAR OVERHEAD DVD SYSTEM CD Player Auxiliary Audio Input Entertainment System MP3 Player 8 PASSENGER SEATING Rear Bucket Seats Pass-Through Rear Seat Bucket Seats TRANSMISSION: 9-SPEED 948TE FWD AUTOMATIC (STD) A/T 9-Speed A/T ENGINE: 3.6L V6 24V VVT UPG Flex Fuel Capability V6 Cylinder Engine BRIGHT WHITE CLEARCOAT SAFETYTEC -inc: Rear Parking Aid Blind Spot Monitor QUICK ORDER PACKAGE 27W *Note - For third party subscriptions or services, please contact the dealer for more information. * CARFAX BuyBack Guarantee is reassurance that any major issues with this vehicle will show on CARFAX report. The quintessential Chrysler -- This Chrysler Pacifica Touring Plus speaks volumes about its owner, about uncompromising individuality, a passion for driving and standards far above the ordinary. You've found the one you've been looking for. Your dream car. We look forward to seeing you soon! Please call us for more information. We are excited to offer this 2015 Ram 1500. Drive home in your new pre-owned vehicle with the knowledge you're fully backed by the CARFAX Buyback Guarantee. With less than 38,630mi on this Ram 1500, you'll appreciate the practically showroom newness of this vehicle. Driven by many, but adored by more, the Ram 1500 Lone Star is a perfect addition to any home. The Ram 1500 Lone Star will provide you with everything you have always wanted in a car -- Quality, Reliability, and Character. We look forward to seeing you soon! Please call us for more information. We are excited to offer this 2015 Jeep Grand Cherokee. CARFAX BuyBack Guarantee is reassurance that any major issues with this vehicle will show on CARFAX report. Want more room? Want more style? This Jeep Grand Cherokee is the vehicle for you. When Jeep created this vehicle with 4 wheel drive, they immediately enhanced the performance ability. Easily switch between two and four wheel drive to take advantage of the improved steering and superior acceleration. One of the best things about this Jeep Grand Cherokee is that it has low, low mileage. It's ready for you to truly break it in. We look forward to seeing you soon! Please call us for more information. We are excited to offer this 2013 Dodge Charger. This vehicle is loaded with great features, plus it comes with the CARFAX BuyBack Guarantee. With amenities and luxuries befitting a modern day king, this splendorous coach reigns supreme. In addition to being well-cared for, this Dodge Charger has very low mileage making it a rare find. We look forward to seeing you soon! Please call us for more information.